Downbound below buoys 1 & 2 off Point Edward. 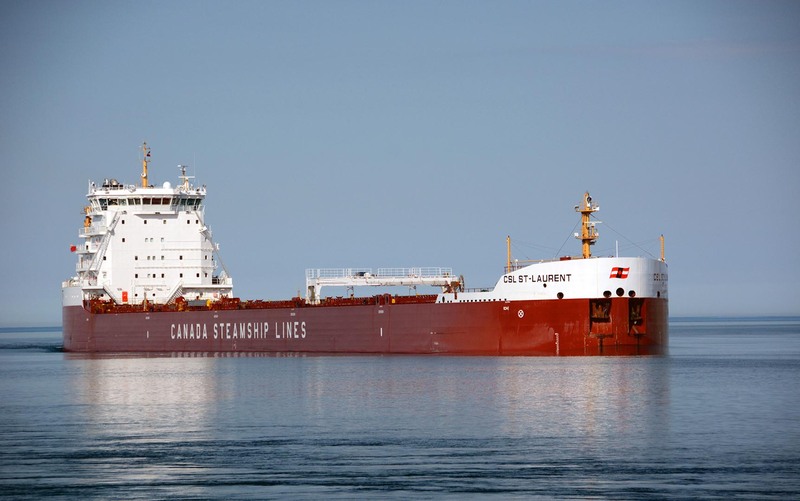 CSL St-Laurent (C838039) was the final Trillium Class bulk carrier to join the Canada Steamship Lines fleet. It appeared on the Great Lakes for the first time in April 2015. The vessel was built in 2014 as Hull 2276 by the Yangfan Group Ltd., Zhejiang East Coast Shipyard, Zhoushan, China. The 740-foot long by 78-foot wide bulk carrier was registered at 22,597 gross tons and able to carry 36,100 tons deadweight. It is powered by IMO Tier II-compliant engines. 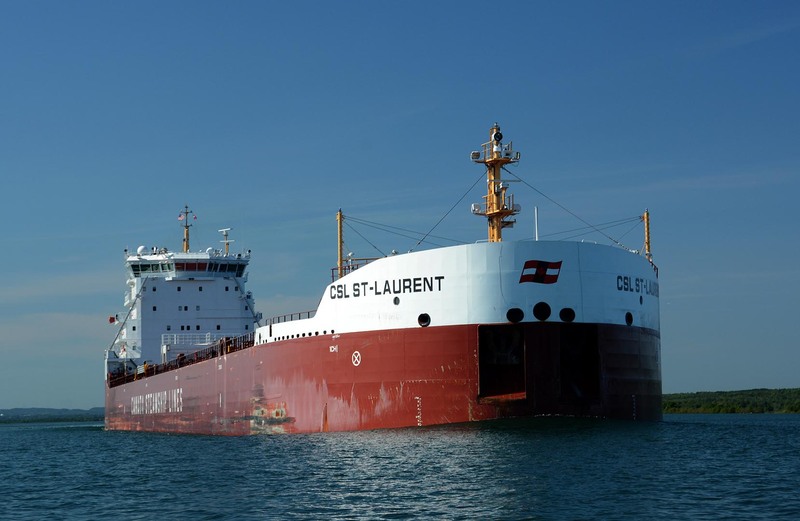 CSL St-Laurent was launched on Jan. 25, 2014, and the naming ceremony was held on April 24, 2014. Final preparations on readying the hull for service were completed in the months ahead. Canadian registry was opened at Montreal on Nov. 25, 2014, and the ship was delivered the next day. The voyage to Canada began on Dec. 13, 2014, as CSL St-Laurent cleared the builder's yard and headed through East China Sea and across the Pacific before arriving at the Balboa entrance to the Panama Canal on Jan. 25, 2015. As with all of the Trillium Class vessels, CSL St-Laurent is equipped with the latest environmental and safety technologies. It uses less fuel, reduces emissions significantly, and provides overall operational efficiency to the benefit of customers and the environment alike. Downbound at Port Huron, April 17, 2015. Downbound below bouys 1 & 2 off Point Edward, May 7, 2015. Close up of the afterhouse. Downbound in the St. Marys River, July 18, 2015. Stern view, July 18, 2015.